100–Jamie Stacey, Junior, Ashley: Best result: 12.26 seconds. 3rd at 4A East Regional; won Mideastern Conference and New Hanover County titles. 200–Jamie Stacey, Junior, Ashley: Best result: 24.70. 2nd at 4A East Regional; won Mideastern Conference crown. 4x400 relay–Ashley's Jamie Stacey (junior), Destiny Godfrey (junior), Alissa Yaw (sophomore) and Rhaven Davis (senior): Best result: 4:04.51. 3rd at East Regional; won Mideastern Conference and New Hanover County titles. Pole vault–Heather Keck, junior, Ashley: Best result: 9-6. 10th at 4A state meet; won East Regional, Mideastern Conference and New Hanover County titles. Honors: Player of the Year–Kerry Leonard, Laney; Coach of the Year–Kendrith Washington, New Hanover; Team Sportsmanship Award–Hoggard. First Team: 100–Jamie Stacey, Ashley; 200–Jamie Stacey, Ashley; 400–Ashley Woodward, New Hanover; 800–Kerry Leonard, Laney; 1600–Kerry Leonard, Laney; 3200–Kerry Leonard, Laney; 100 Hurdles–Amy Lee, New Hanover; 300 Hurdles–Amy Lee, New Hanover; 4x100 Relay–Charlene Thompson, Jayda Malone, Ayanna Matthews, Erin Nesselroade, Laney; 4x200 Relay–Charlene Thompson, Jayda Malone, Ayanna Matthews, Erin Nesselroade, Laney; 4x400 Relay–Alissa Yaw, Rhaven Davis, Destiny Godfrey, Jamie Stacey, Ashley; 4x800 Relay–Hannah DeLange, Sydney Thuman, Madeline Hulbert, Elizabeth Magill, Hoggard; High Jump–Anna Kester, Hoggard; Pole Vault–Heather Keck, Ashley; Long Jump–Peyton Apel, Hoggard; Triple Jump–Autumn James, New Hanover; Shot Put–Ayesha Dubar, New Hanover; Discus–Sarah Jonkheer, New Hanover. 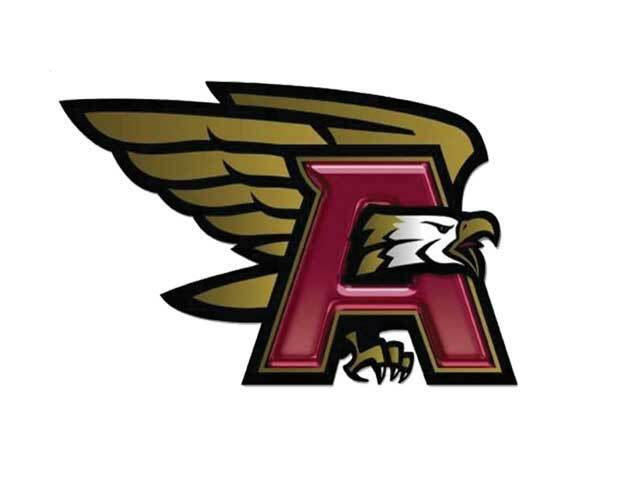 Second Team: 100–Destiny Godfrey, Ashley; 200–Destiny Godfrey, Ashley; 400–Destiny Godfrey, Ashley; 800–Cameron Smithwick, Laney; 1600–Cameron Smithwick, Laney; 3200–Sarah Pellazari, Hoggard; 100 Hurdles–Rachel Luscher, Ashley; 300 Hurdles–Sandra Peters, Ashley; 4x100 Relay–Diamond Davis, Meghan Gallimore, Katie Dubrouillet, Peyton Apel, Hoggard; 4x200 Relay–Ashley Woodward, Imani James, Desiree Preston, Amy Lee, New Hanover; 4x400 Relay–Ashley Woodward, Desiree Preston, Charlotte Jones, Amy Lee, New Hanover; 4x800 Relay–Julia Boudreau, Lindsey Williams, Morgan Marraccini, Sara Silika, Ashley; High Jump–Autumn James, New Hanover; Pole Vault–Avery Mavroudis, South Brunswick; Long Jump–Raven Davis, Ashley; Triple Jump–Katie Dubrouillet, Hoggard; Shot Put–Morgan Targhetta, Ashley; Discuss–Alex Erling, Laney. Pole Vault–Bruce Kopka, senior, Ashley: Best result: 13-6. 8th at 4A state meet; 4A East runner-up; Mideastern Conference and New Hanover County champion; school record holder. 100–Zan Richardson, Junior, Ashley: Best result: 10.64 seconds. 10th at 4A East Regional; Mideastern Conference champ. 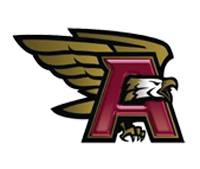 4x200 relay–Ashley's Damien Batts (junior), Ebrima Darboe (senior), Tyree Gaithright (junior) and Zan Richardson (junior): Best result: 1:30.06. 6th at 4A East Regional; Mideastern Conference champions. Ashley–Alex Banoczi. Cape Fear Academy–Alex Nadeau. Coastal Christian–Logan Pethel, Josh Leitch, Jackson Boyles, Matthew Finley, Richard Wetherill, Jamall Mitton, Hunter Saunders, Caleb Ward. Hoggard–Zachary Redenbaugh, Jared Robertson. North Brunswick–Derrick Wheeler, BoDee Hancock, Bashir Roland, Luke Cason. Topsail–Christian Dickens, Chad Campbell, Jack Dremann. Trask–Dakari Jackson. West Brunswick–Xavier Gause. Honors: Player of the Year–Colin Minor, South Brunswick; Coach of the Year–Ryan Houck, Ashley; Team Sportsmanship Award–South Brunswick. First Team: 100–Zan Richardson, Ashley; 200–Kion Hobdy, Laney; 400–Jackson Denton, New Hanover; 800–Stephen Wilson, Ashley; 1600–Graham Parker, Hoggard; 3200–Ben Schmidt, Hoggard; 110 Hurdles–Juwan Johnson, Laney; 300 Hurdles–Juwan Johnson, Laney; 4x100 Relay–Andre Stukes, Tyree Gathright, Damien Batts, Zan Richardson, Ashley; 4x200 Relay–Ebrima Darboe, Tyree Gathright, Damien Batts, Zan Richardson, Ashley; 4x400 Relay–Jackson Denton, Jeremy Burgess, Nigel Barnes, Shaffer Lisle; 4x800 Relay–Joseph Harty, David Flechtner, Rylee Smith, Stephen Wilson, Ashley; High Jump–Mykol Branch Laney; Pole Vault–Bruce Kopka, Ashley; Long Jump–Xavier Gause, West Brunswick; Triple Jump–Rome Murphy, New Hanover; Shot Put–Colin Minor, South Brunswick; Discuss–Colin Minor, South Brunswick. Second Team: 100–Kion Hobdy, Laney; 200–Damien Batts, Ashley; 400–Jared Robertson, Hoggard; 800–Graham Parker, Hoggard; 1600–Shaffer Lisle, New Hanover; 3200–Calvin Daughtry, Laney; 110 Hurdles–Rome Murphy, New Hanover; 300 Hurdles–Jeremy Burgess, New Hanover; 4x100 Relay–Trey Smith, Imeek Watkins, Alex Newkirk, Kion Hobdy, Laney; 4x200 Relay–Trey Smith, Alex Newkirk, Juwan Johnson, Kion Hobdy, Laney; 4x400 Relay–Connor Kelley, JaVern Wallace, Terren Williams, Jared Robertson, Hoggard; 4x800 Relay–Sydney Wiegman, Ben Schmidt, Robinson Snyder, Nathan Sudduth, Hoggard; High Jump–Dandrell Utley, New Hanover; Pole Vault–Zachary Redenbaugh, Hoggard; Long Jump–Dandrell Utley, New Hanover; Triple Jump–Xavier Gause, West Brunswick; Shot Put–Jordan Musselwhite, New Hanover; Discuss–Alex Banoczi, Ashley.